Today is a fun tutorial! 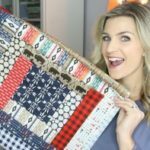 This is super easy… like a great first quilt top tutorial type of project. 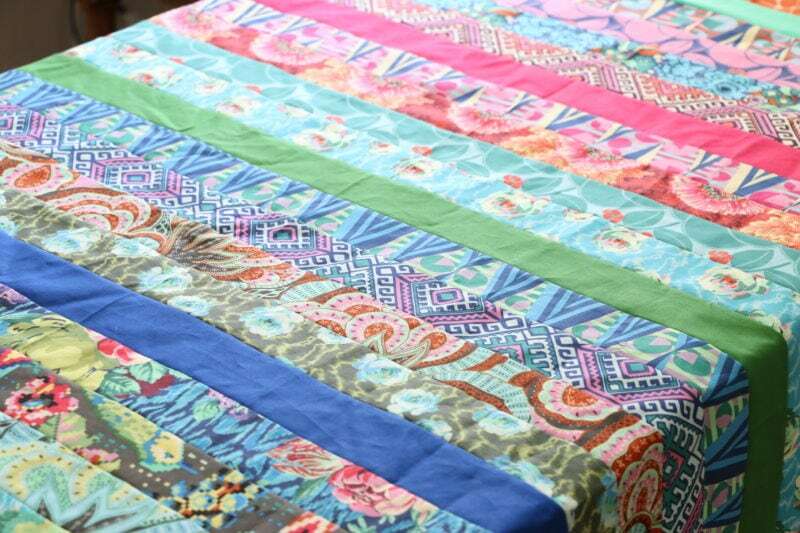 All you need is a jelly roll pre-cut, some coordinating thread and a sewing machine! Here are some of my favorite options for jelly rolls. Pick an ombre solid pattern or a bold fabric combo because the construction is so simple, that will really make it pop! I often get asked what sewing machine I have… here it is and I love it ;). *This instructions were so simple, I didn’t end up doing a pdf download for it, but if you would prefer that, let me know. 1.Unroll jelly roll and arrange how you would like for it to look, or just place in a pile to grab randomly. 2.Place right sides together and sew 2 strips together lengthwise using a 1/4 inch seam allowance. 3.Grab the next strip and placing right sides together, sew in the opposite direction of the previous strip. 4.Continue until all rows have been sewn. 5.Press. Press seam open, or to 1 side based on your preference. 6. Fold in half “hamburger style” and then again so that you can trim the uneven edges. Do your best, but if it’s not perfect, don’t keep trimming because you can adjust later after the quilting step. 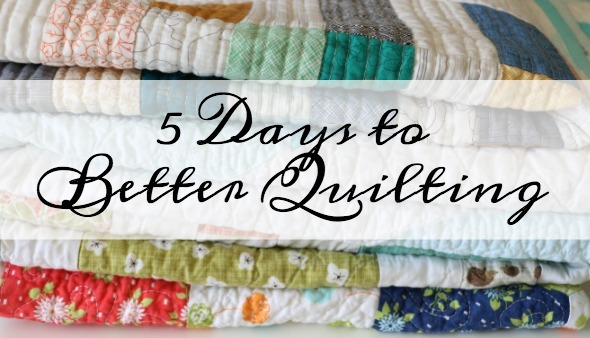 If you love quilting tips, I invite you to check out my FREE mini course, called 5 Days to Better Quilting! I am getting so much great feedback, but you can click HERE and see for yourself! The fabric I used is from Amy Butler, collection titled Hapi. 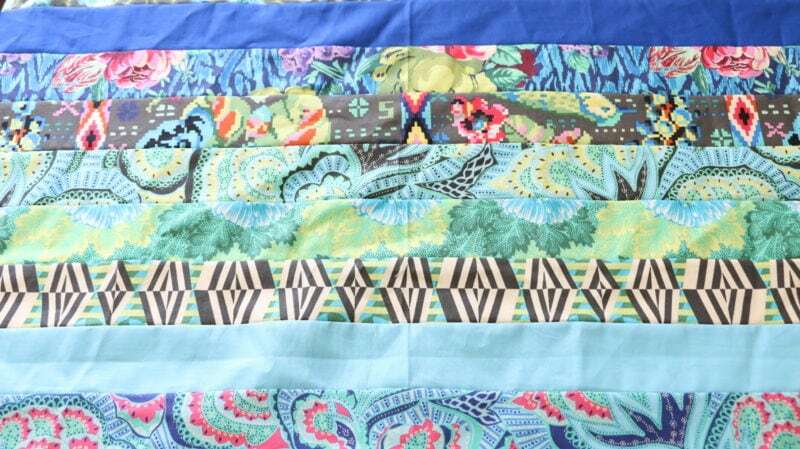 i love the jelly roll,i tryed it ,i cant seem to get it even one side is 30 the other27 ,what do you suggest? 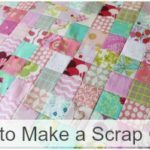 I really liked this tutorial and am going to buy a jelly roll when I done with this. 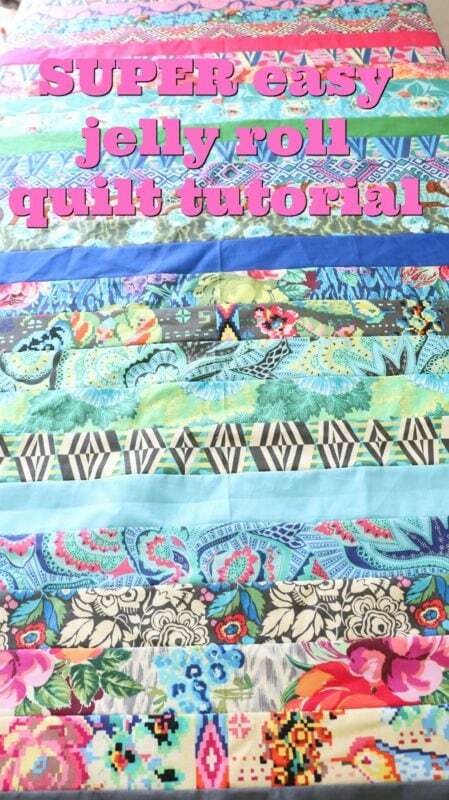 I love sewing and I’ve done a bit of quilting but this looks like FUN. 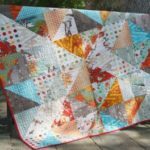 What are the deminsions on the quilt? Is it only 40″ wide? I don’t even own a sewing machine but I love the art of quilting and you make it look so easy. 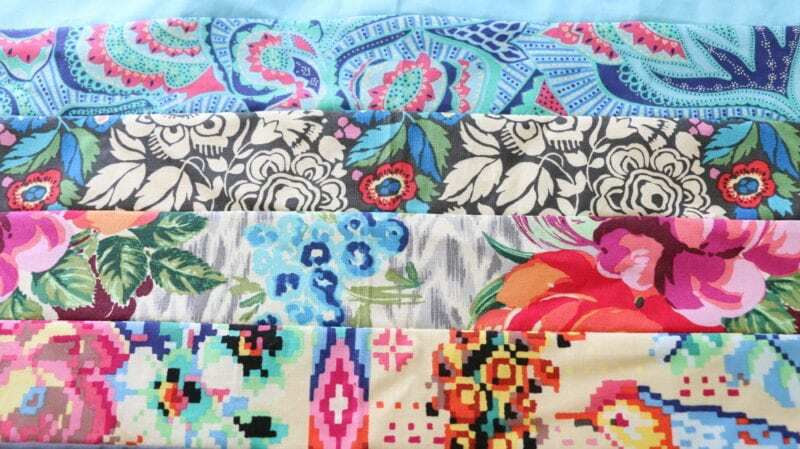 not sure how to leave comments on y tube ,,,, so your most recent on fabric haul , i liked it . great job on showing the fabric line. i love seing what is new out there and am learning all about pre cuts yes good job. 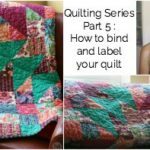 This will be a big help to me as I am new to quilting. Your tutorials are so inspiring. Keep up the great work!